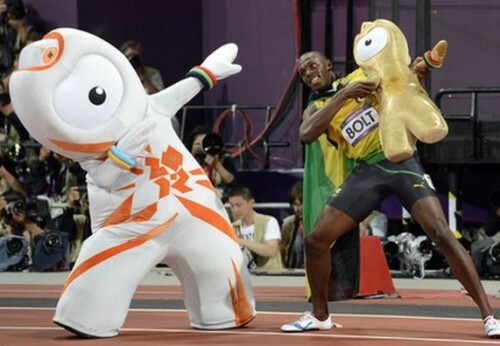 Jamaican runner Usain Bolt strikes his signature lightning bolt pose with Olympic mascot Wenlock and mini-stuffed-Wenlock after winning gold in the 100m. If you were like me and followed the London 2012 Olympics with great enthusiasm, chances are that you’re feeling a bit of a void in your life now that the Games are over. So here’s a retrospective of a story that NBC didn’t cover: the chocolate Olympics. Kraft/Cadbury was an “official sponsor” and the “official treat provider” for the London games, the only chocolate company allowed that status (Mars was the “official chocolate” of Beijing 2008), and launched a 50 million pound marketing campaign as a result. The campaign included printing the London 2012 logo on Cadbury products, selling chocolates made in the shape of the rather odd Olympic mascots, and crafting a social media strategy to amp up support for Great Britain’s athletes. Other chocolate companies were unofficially involved with the Games, by sponsoring athletes as “brand ambassadors,” setting up treat stands around London, and releasing products in “the spirit of” the Olympics. Regulations around the use of the Olympic symbols are strict, though, and unsanctioned uses, like those of bakers making bagels or cakes displaying the Olympic rings, were subject to accusation of trademark infringement. But, as is often the case, there were ways around the rules, and people who knew where to ask could still find plenty of chocolate diversity thanks to the thriving black market in the Olympic Park. One aspect of the chocolate Olympics merits further discussion than it got in the mainstream press this year — the ethics of promoting candy to children, especially when linking it with fitness. While many enjoy debating the efficacy of advertising regulations, there is significant evidence demonstrating the harmful health consequences of advertising to kids. Cadbury seems to have chosen a different strategy this year due to bad press around childhood obesity in the past, focusing its marketing push on game-playing rather than chocolate consumption. Still, plenty of marketing to kids took place during the Olympics and will continue in the future, and some of it included chocolate. Several USA Swimming team members hawk chocolate milk for big bucks from the Refuel With Chocolate Milk campaign. I’d need to swim for 30 minutes to burn off the calories in the average serving of low-fat chocolate milk, and the sugar content is as high as in many sodas. Even beloved Massachusetts-based Team USA gold medal winning gymnast Aly Raisman is selling chocolate milk as “the best combination of carbohydrates and protein” for post-workout muscle recovery. Given the excessive sugar content, poor quality of the chocolate, and the mounting evidence against heavy milk consumption for health, the suggestion that this is an ideal post-workout drink for an average person is absurd. Of course, it wasn’t all marketing and sponsorships at the chocolate Olympics. Several Olympians went on the record about their love for chocolate “just because.” Great Britain’s medal winning triathletes the Brownlee brothers have been inspired by chocolate since childhood, Great Britain’s gold medalist heptathlete Jessica Ennis looks forward to splurging on chocolate on her weekly cheat days during training, the USA’s all around gymnastics gold medalist Gabby Douglas enjoys “all kinds of chocolate,” and India’s medal winning badminton player Saina Nehwal said “I’m going to eat a lot of chocolate now. It’s okay if I put on some weight,” when asked what her plans were after the Games. Team USA’s lightweight rower, Nick LaCava, who is 6’3″ tall and, incredibly, weighs in at 156 pounds on race days, has a chocolate business background. He was a co-founder of customizable chocolate bar company Chocomize before living out his Olympic dream. The oldest Olympic torch bearer at these Games, 100-year-old Diana Gould, shared the key to long life with the UK’s Telegraph. According to her century of wisdom, one can live a long and happy life with a good attitude, healthy habits that include lots of walking, and a bit of chocolate each day. Usain Bolt was awarded a huge chocolate bar in the Czech Republic’s Golden Spike athletics event in May 2012 and went on to win three gold medals in the London Olympics (there’s a cute video of tiny children racing against him and then sharing chocolate here). As delicious as that chocolate might have been, it was not responsible for making him the fastest man in the world. Twice. Nor should chocolate companies suggest that it was. 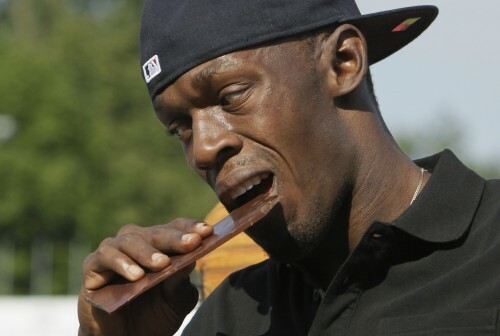 Jamaican sprinter Usain Bolt eats chocolate in Ostrava, Czech Republic, May 23, 2012. Jeffrey Stern is a chocolatier, chocolate advocate, entrepreneur, and blogger based in Quito, Ecuador. I recently asked Jeff to answer a long list of questions about his life and work, and he was kind enough to oblige. The first and second parts of the interview can be read here and here. Below, in the third part of the interview, Jeff shares some final thoughts on the role of chocolate in his life, working with chocolate, learning more about it, and starting a chocolate business in a cacao growing country. 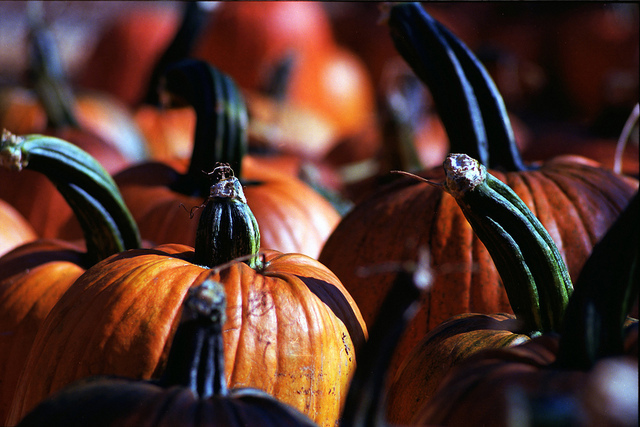 Carla Martin (CDM): What are some of your most memorable experiences related to chocolate? Jeffrey Stern (JM): I don´t have any really strong childhood memories of chocolate — I did always like to cook, but didn´t really figure that out until I was in my late twenties. I was just the regular American kid who grew up eating Hershey bars, Reese´s Peanut Butter Cups, Snickers, and Milky Way. I always had an affinity for chocolate but not an obsession. Once I finished culinary school and started playing around with chocolate, I saw that there was so much more I could do with it. Another turning point for me was the day when I realized I could almost just look at chocolate and see if it was properly tempered/crystallized. Having that familiarity from working with it day in/day out, when you can temper on-call with no thermometer, no guidance, no reference points except what’s in your own mind, that’s a nice achievement. Once you have that, you can do a whole lot more because you don’t have to doubt if it’s properly tempered, you don’t have to check, you can just start making stuff. Then from there, once you realize how crystallization also applies to ganaches, things just get a lot easier to make. I think my most memorable experience was tasting cacao liquors on the farm a few years ago, here in Ecuador. I had no idea there were such major distinctions between different beans based on fermentation alone. All the bean batches had been unscientifically roasted in a traditional clay pot, then ground there on the spot in a lab grinder for us to taste. Photos below. CDM: What are your favorite things about working with chocolate? JS: I like working with chocolate because it demands patience, you can’t rush it, and you have to pay attention to what you’re doing. My favorite activity in the shop and the one I find the most “zen” is running the enrober. You get the chocolate in temper, tweak all the adjustments on the enrober, and then just start running pieces through it. They come off, you apply transfers or fork designs or toppings, and then you just do it again. With my employee in the shop, we can get into a groove where no one is talking, we are just running batch after batch of pieces through the machine, and these beautiful little gems are being produced one after another after another. And suddenly an hour has passed and there are tables full of chocolate everywhere, and you line them up on a sheet pan and into the speed rack and just keep going. JS: I would say now that I have been so involved in chocolate here for so much time, chocolate and work have meshed as one. Through blogging about chocolate and my web presence, I am getting an increasing number of tourists from abroad coming to visit the workshop, as well as tour operators contacting me for activities. I always have chocolate around at home, but usually just solid bars or mendiants with dried fruits and nuts. My kids love all things chocolate, and fortunately they prefer dark over milk! I have also taken the kids to cacao plantations with me, and to them, it´s not some mystery or something strange where chocolate comes from. It´s very commonplace for them. CDM: What would you recommend that folks new to exploring fine or craft chocolate do to learn more? JS: Besides tasting as many different chocolates as possible, I would recommend trying to visit a cacao growing country. Don’t just go to the country and visit a cooperative or grower, but stay a few days on the ground, see what goes on, talk to the farmers. Visit chocolate factories, chocolate makers. Get immersed. That’s what I try to offer people who come on tours to Ecuador — to not just taste chocolate, but get a real taste for the people, country, and heritage behind chocolate in the country of origin. CDM: If other groups of people were interested in forming companies similar to yours, what advice would you offer to them? JS: The operations and logistics are easy; anyone can learn how to do those parts and while there is not a lot of guidance out there, it’s not difficult. But if you plan to set up a business in a cacao producing country, you’ll probably find that most people in the country are not that interested in chocolate itself — because most of it, in the form of beans, is being exported. That’s just a fact of the developing world and commodities-based economies. There is a deep, difficult chasm to cross if you want to export chocolate from say Ecuador, to the US, and not have it be perceived as just another consumer packaged good in the US. You need to do more than tell a good story, you need a strong physical presence with a location, props, and someone who knows about, and cares about, the story. You have to be willing to agonize over every piece, bar, item you make — you just have to love what you do or else it will be difficult to find the persistence and tenacity to keep doing it until you can make money at it. Visit Jeffrey Stern’s blog here to learn more about his adventures with chocolate just south of the equator, and follow his company Gianduja Chocolate on his website and on Facebook. Please also consider supporting Jeff’s ongoing Kickstarter campaign — an innovative direct trade project to promote Ecuador’s heritage Nacional cacao and benefit small farmers. Chocolatier and chocolate advocate Jeffrey G. Stern invited me to guest post on his professional chocolate blog. An excerpt from the post, a review of Daniel Jaffee’s 2007 book, Brewing Justice: Fair Trade Coffee, Sustainability, and Survival, is below with a link to the full content. The book is of great value to those interested in the impacts of alternative trade models on farmers’ lives. Enjoy! There are striking similarities between the worlds of coffee and cacao — think ecology, production, health, history, and culture. More recently, coffee and chocolate have been brought together as two of the most commonly available fair trade certified products. However, the ethical or cause based market is more developed in the coffee world. This is likely due to the worldwide popularity of coffee consumption and the relative transparency of the coffee making process (consumers often deal directly with the beans themselves). Because of the plethora of alternative trade models to be found in the coffee world, I have, in my research on the ethics of chocolate, frequently turned to the work of coffee experts for guidance and inspiration. Ethical sourcing of goods cultivated only outside the United States is a challenge fraught with unequal power relations and market shares. For those who support the development of more equitable trading practices, a turn to fairly traded products is often desirable. The question remains, though, as to how much of a difference (if any) fair trade certification makes in the lives of the individual farmers cultivating our beloved beans. Daniel Jaffee set out to answer this very question in his excellent book, Brewing Justice: Fair Trade Coffee, Sustainability, and Survival. The book offers a supportive yet critical account of the global fair trade system and its local effects on the lives of coffee growers in Oaxaca, Mexico. To read the full post, visit Jeffrey G. Stern’s blog here. Jeffrey Stern is a chocolatier, chocolate advocate, entrepreneur, and blogger based in Quito, Ecuador. I recently asked Jeff to answer a long list of questions about his life and work, and he was kind enough to oblige. The first part of the interview can be read here. Below, in the second part of the interview, Jeff presents his views on standards in production, trade certifications, power relations, communication, and sharing in the chocolate world. Carla Martin (CDM): What standards in chocolate production do you value? Jeffrey Stern (JM): I guess I’d have to say transparency over all. I’ll have to speak specifically to my situation in Ecuador on this first. I would love to be able to buy all chocolate made from pure Nacional beans for my production, but for both financial reasons and reasons of control, I can’t. First off, the market here won’t bear a high cost chocolate. For example, I could buy Kallari couverture for all my chocolate making, but at $16 per kilo I’d lose money on everything I make. I just can’t pay that much for chocolate and be able to make money on it here. Unfortunately, we all have to eat. Second, as I have discussed frequently, I can’t control what the local manufacturers’ choice of beans is and so I can’t know what beans they are using when they make chocolate. I wish I had large enough volume to have custom batches of chocolate made for my own use, but I don’t. So for local production, I buy some couverture at around $6 per kilo. If I had the volume, I’d source beans myself and have the chocolate made per my own specs. 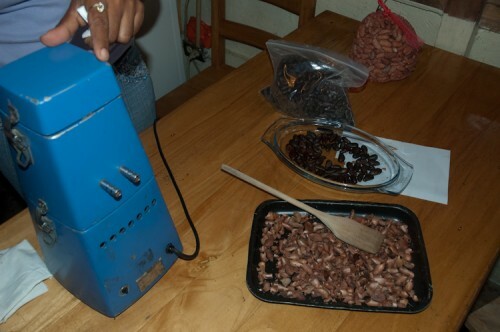 But what I buy at the lower end of the price scale is most likely mixed beans (CCN-51 and Nacional). I do buy some pure Nacional couverture. How do I know it’s pure Nacional? I have a friend who is part owner in two large farms of pure Nacional cacao. I have been to the farms and seen them. He is Swiss, has lived here 30 years, I’ve been doing business with him nearly since I arrived five years ago, and I trust him. He has couverture made in country and sells it to me, among other people, at a fair price. What’s important to me is to be able to know something, preferably a whole lot, about where my chocolate comes from, how it’s been produced, and what’s in it. I think the links most chocolate manufacturers state they have with the sources of their beans are tenuous at best most of the time, and certifications don’t really interest me as I don’t think they say much. It’s a paradox, but I would say the smaller, artisan chocolatiers are at both an advantage and disadvantage to the big guys. The big buyers can buy a whole farm or cooperative’s production and make a chocolate out of it and call it “Single Estate,” though that doesn’t mean it might not be mixed with other beans. But if they can’t get enough beans from one prime source, they are forced to blend. Economy of scale works both to their advantage and disadvantage. The small, artisan chocolatier can buy beans from just one or two or three prime sources, and can make a different batch of chocolate from each of those sources, which the big players can’t do because of scale problems. I am not so much concerned with organic, Fair Trade, Rainforest Alliance, or other certifications. Here in Ecuador, to buy chocolate with any kind of certification is unfeasible price-wise for the local market. I think this is an interesting rhetorical question for consumers in the developed world to consider, too — “I can buy this ‘certified’ chocolate in the US, and yet there’s no market for it in the country of origin?” Right there is a topic to ponder. CDM: How do you aim to share your knowledge about chocolate with others? 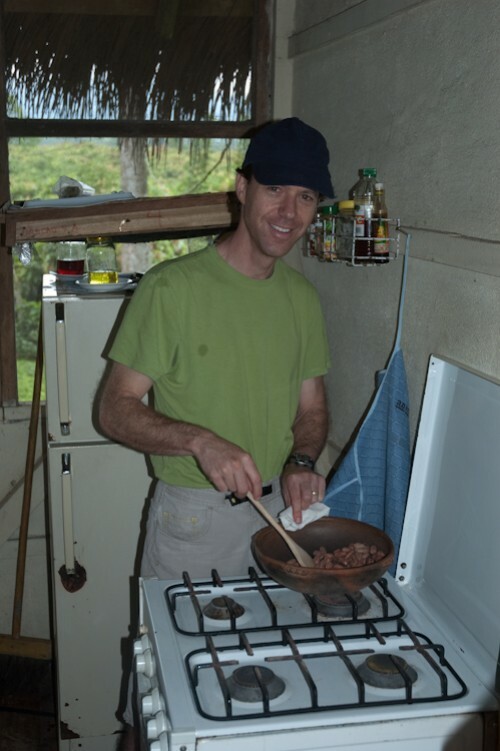 JS: I spend a lot of time online trying to blog, advocate, and discuss the issues facing Ecuadorian cacao, as well as many of the technical aspects of chocolate making, confectionery, etc. I don’t really focus on a global level as I don’t consider myself an expert on cacao worldwide — nor on cacao in general. But blogging only gets me so far and to a limited audience. I am hoping to get some video content online as well soon. 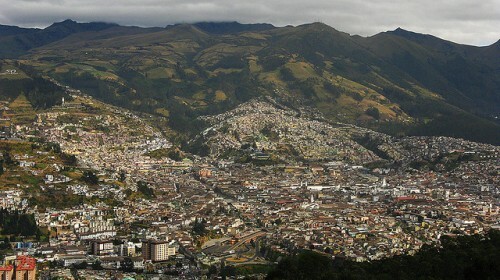 Fortunately, after four long and difficult years getting established in Ecuador and building a reputation as a person knowledgeable about chocolate and the industry here, I have been recognized and sought after by local businesses, especially in the travel and tourism area, and internationally. It’s unfortunate that I have to look mainly outside of Ecuador for interest in the ideas I have to share, but again, one has to make a living. I now have offerings with three different tour operators — I’ll be the guide for a four day portion of an eight day tour in February and March of 2012 with Ecuador Jungle Chocolate. The first four days will include visits to chocolate makers in Ecuador, and the second four will be focused on mushrooms with Larry Evans. I am also working with Quasar Nautica and Gentian Trails; we will have offerings of chocolate classes for tour groups, as well as tastings and visits to chocolate factories in Quito. I’ll also be meeting with and helping Sharon Lane as part of a documentary effort about chocolate in Ecuador in December 2011. 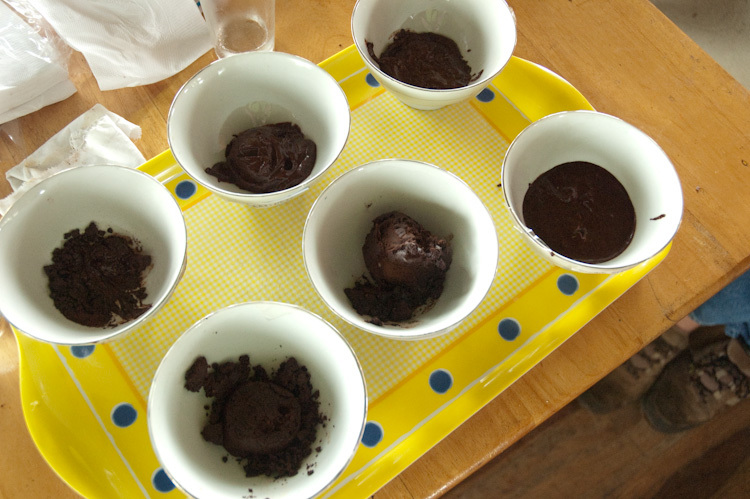 CDM: How do you communicate with other chocolate makers and chocolatiers? JS: Most of the people I know in the chocolate community are extremely open and helpful. I use The Chocolate Life for some communication and information sharing and to help share some of my ideas. But I find my most valuable contacts are direct. Two years ago I had the opportunity to meet with Michael Recchiuti in San Francisco and spent a long Sunday morning with him, asking questions and sharing my experiences in Ecuador. Since then I’ve been fortunate enough to be able to email with him directly on many ocassions. I’ve also reached out to Christopher Elbow in Kansas City and he’s been very helpful. When I visit the US, which is almost every year, I try to take a class or two. Last year I took a class with Patrick Peeters, the head R&D Chef Chocolatier for North America at Godiva. Linkedin is also a great resource. I have been reaching out, expanding, and intensifying my efforts to stay connected with people in the US; even though I may be located in the “center” of the chocolate world in some ways, I often feel very much at the periphery of what’s going on in the world, because, let’s face it, the developed world where the money is drives the trends and shapes what happens with chocolate much more than the producers of cacao do. I’ve also been extremely fortunate in working with Dana Brewster and Mark DelVecchio of Millcreek Cacao Roasters. They initially came to Ecuador to source cacao, hiring me as their guide. Since then, we’ve developed an excellent working relationship and we are working together on a Kickstarter project to be launched soon. CDM: How do you understand your role or place in the chocolate world? JS: My job as a chocolatier I wouldn’t replace for anything. While it’s totally unofficial, because chocolate is universally appreciated, I see myself as sort of an “Ambassador” for Ecuadorian chocolate and the issues surrounding it. Of course, many of the issues facing Ecuadorian cacao growers and the chocolate industry here have similar parallels elsewhere. This summer I was at a cacao trader’s patio in El Empalme, Ecuador. He obviously moved large quantities of not only cacao, but also rice, coffee, and corn. I asked him if he exported and I was taken aback when he said no; he said he didn’t have the language ability nor the contacts to export. I think there are something like 36 official cacao exporters in Ecuador. Most of them don’t tell anyone much about what they’re doing, their business, or the issues involved. Maybe they’re too busy, they don’t want to, or they’re just not interested. There are also many cooperatives or producers’ associations in Ecuador — some do better than others at getting their stories out there. But in general, the small producer/cooperative/association is pretty much unknown. 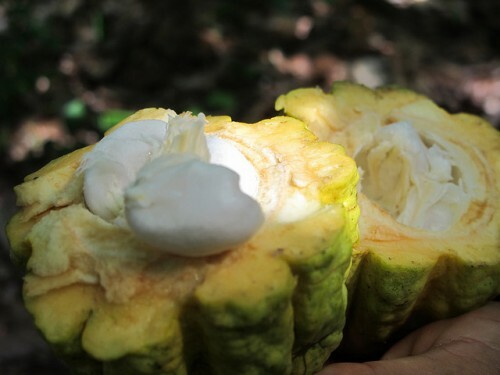 I would like to be able to remove the veil that covers the cacao trade at the ground level; too much of the business is controlled, both in economic terms and in “story” terms, by the big players and large markets. I would love to see the day when consumers, through their pocketbooks, have influenced the other end of the cacao chain, especially the buyers, to pay a premium for pure Nacional cacao from Ecuador. A level playing field where Nacional is awarded a premium for its flavor profile and thus is once again more widely grown, despite its lower productivity and lower disease resistance than CCN-51, would be a boon for chocolate connoisseurs worldwide. It would be an amazing day if chocolate lovers worldwide would rise up in outrage like they recently have against Bank of America’s $5 debit card fees or Netflix’s plan changes! Sure, it’s not an exact parallel because these examples are about price hikes consumer don’t want; but if consumers were to respond in a similar fashion about price hikes they think farmers should get for their goods, well, this would be a radical shift in thinking. CDM: How has travel and living abroad affected your appreciation and understanding of chocolate? JS: I could never have learned all I know about Ecuadorian cacao and the industry here without having lived here for several years. I would never be able to understand the flavor nuances in chocolate without having tasted chocolate liquors from different farms. Now that I understand just how remote the source of much of the world’s great cacao is, it’s really amazing how it arrives all the way to your store or postbox. It arrives with such ease, and yet there is still such a large disconnect, and in academic speak, market fragmentation, on the ground here in Ecuador. The market mechanisms are broken and connections between cacao producers, cacao traders on the ground here, and cacao exporters are unregulated, unstandardized, and inefficient. This means that most of the time, small producers don’t get a fair price for their cacao, quality is not awarded the premiums it should get, and rare, fine aroma cacao doesn’t get the respect and treatment it deserves. CDM: Is your fluency in Spanish important to your work? JS: Without Spanish, which I learned by the way as an AFS Exchange Student to Chile in 1986, I would not be where I am today. Knowing Spanish allows me to communicate directly with everyone I work with, gives me additional business opportunities, and just opens an infinite number of doors to me as both an individual and a business person that weren’t even visible before. I of course use Spanish everyday, and it has allowed me to teach, share, and attract opportunities. Visit Jeffrey Stern’s blog here to learn more about his adventures with chocolate just south of the equator, and follow his company Gianduja Chocolate on his website and on Facebook. Also, stay tuned for Part 3 of this interview, as well as further details on Jeff’s upcoming Kickstarter campaign — he is currently working to launch a direct trade project to promote Ecuador’s heritage Nacional cacao and benefit small farmers. This morning, The Root published a piece I wrote entitled Chocolate’s Bittersweet Legacy. In the article, I detail labor abuses in West African cacao cultivation, the chocolate industry’s decades long inaction on the problem, and recommended responses for consumers who want to make a difference. I hope that you’ll check it out. Ethical Halloween Candy 2011 Taste Test Results, which details the results of a taste test survey of many of these fairly traded candies. If you’re not familiar with The Root, I also recommend browsing through some of the other articles and blogs when you visit the site. It’s a leading source of online news and commentary from an African American perspective and one of my regular reads.